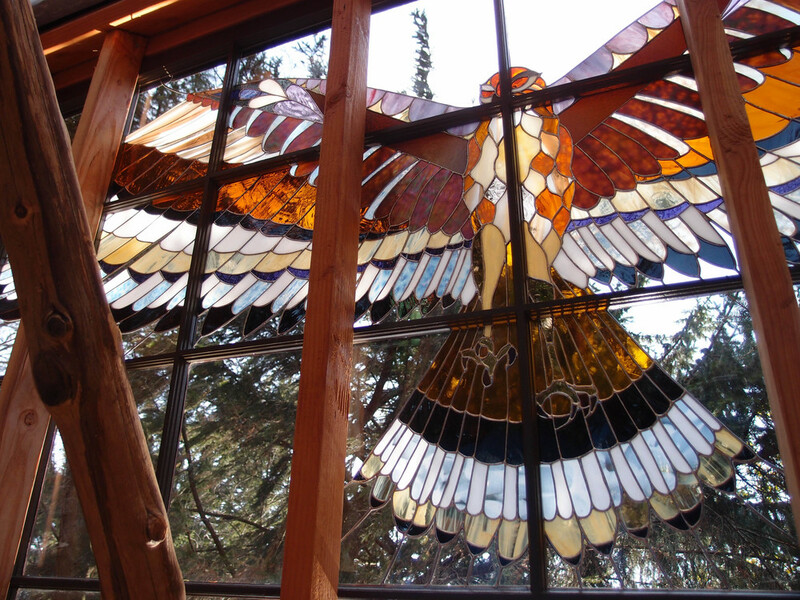 Welcome to the Glass Cabin Studio, Inspired by nature, and committed to craft. 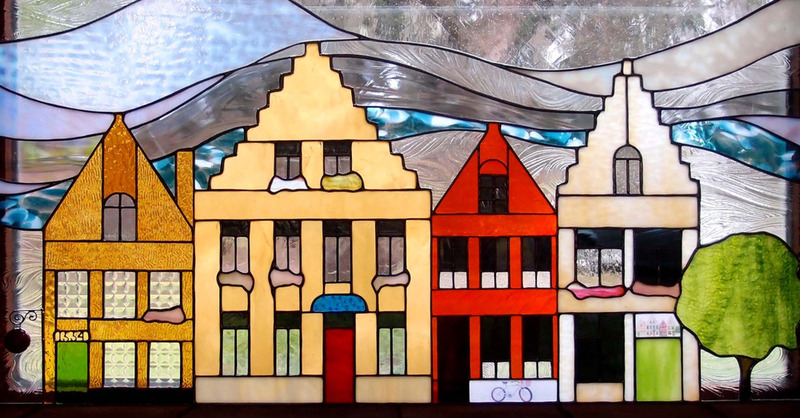 I've been working with glass for over twenty years, mastering traditional techniques, and developing my own unique style. 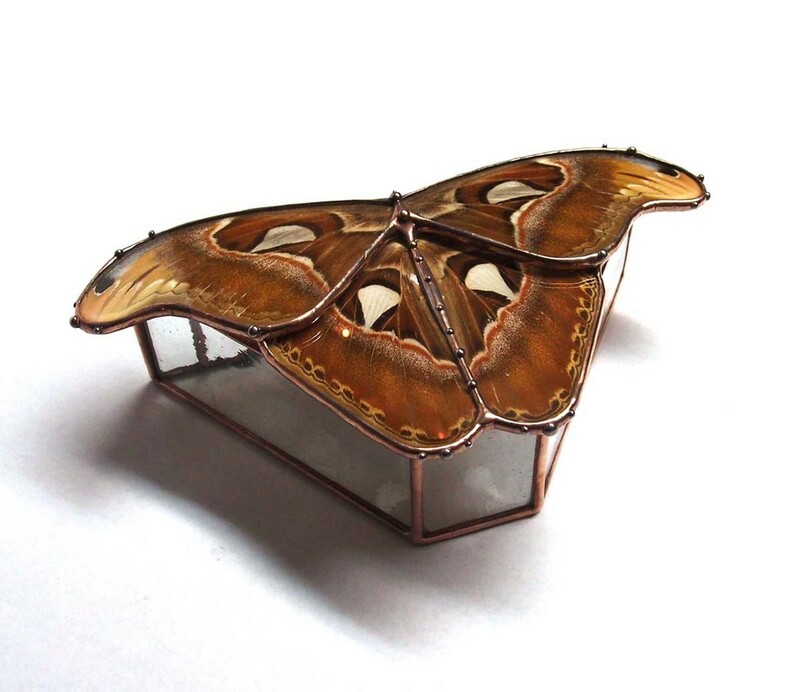 From the jewelry featuring real butterfly wings, to the colossal stained glass cabin, I hope you find something here to inspire....And maybe something to treasure for yourself. 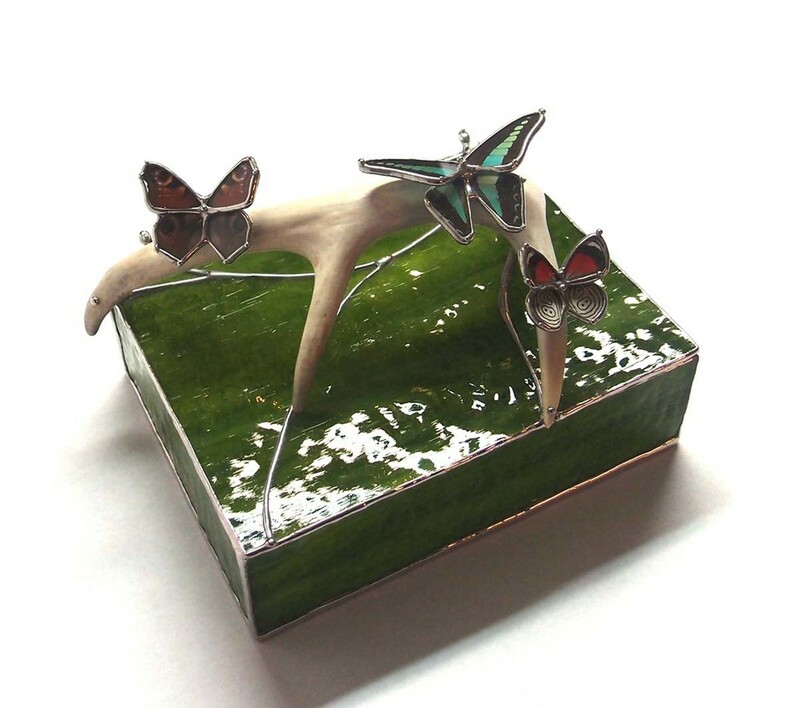 Created thoughtfully to complement your home or business. 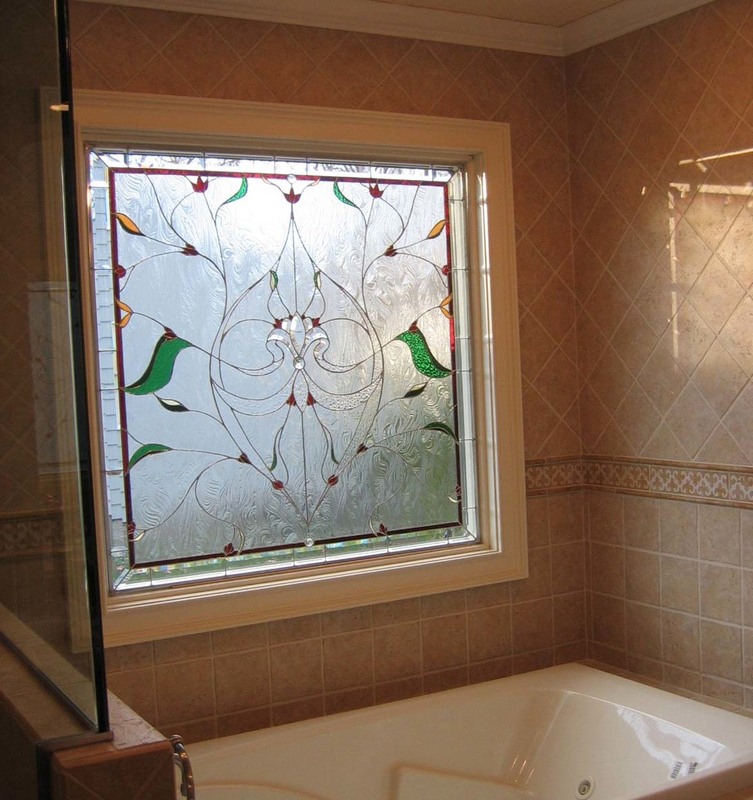 Stained glass windows make the perfect addition to any decor, adding elegance, tranquility and beauty to your home. 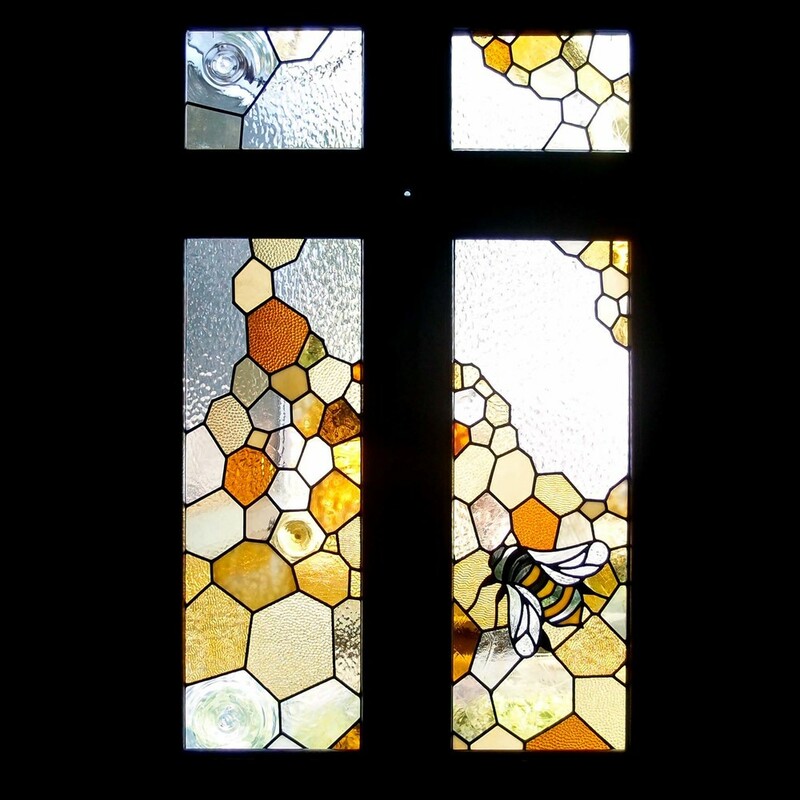 I work closely with each of my clients, through each step in the custom-creation of their own special masterpiece, from sketch to installation. 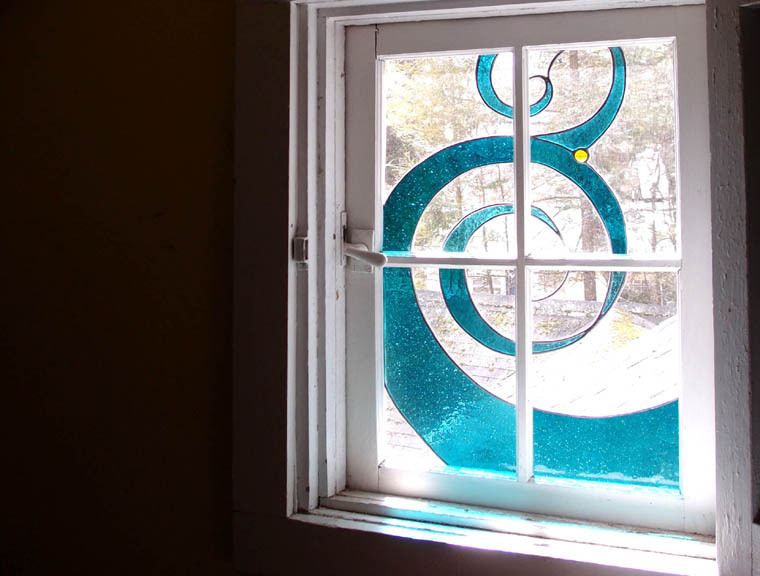 My studio is located in Lake Mohawk, Sparta, New Jersey. 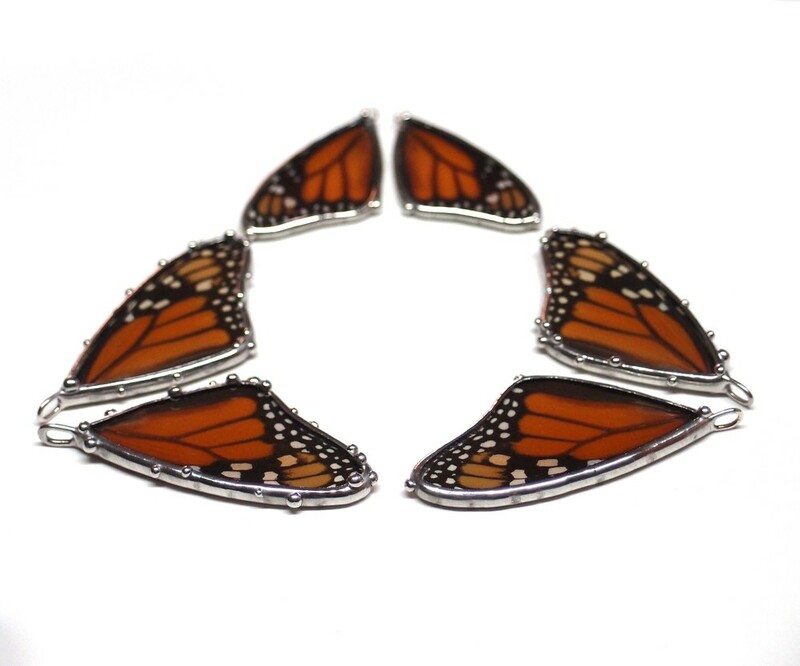 Unique and colorful jewelry artfully handcrafted with real butterfly wings. 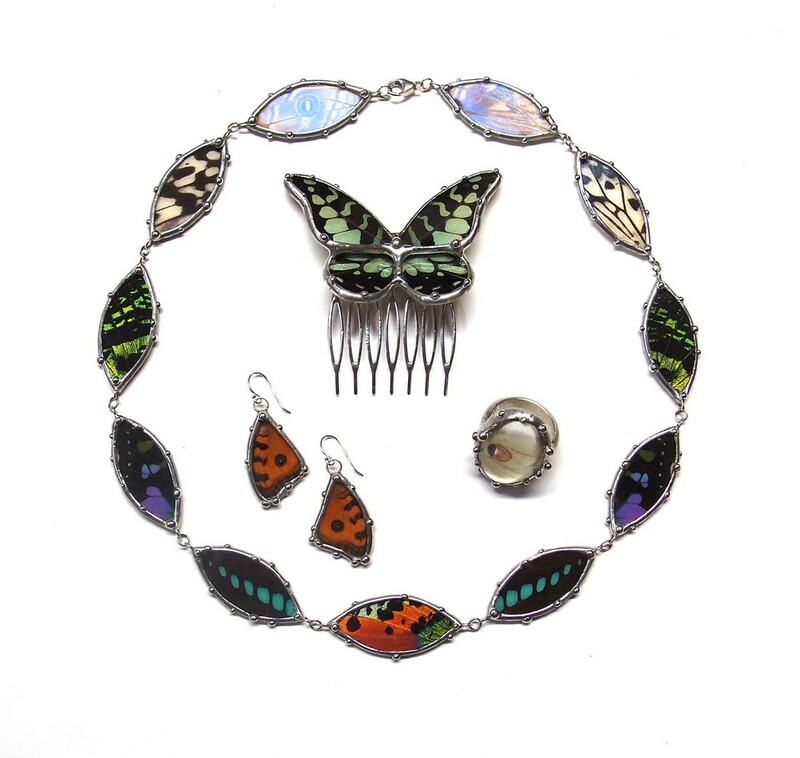 I create unique and colorful jewelry using real butterfly wings. The butterflies I use are farmed all over the world, and collected when naturally expired. They live out their short winged stage in a protected enclosure. Butterfly farming protects the natural habitat of the butterflies through conservation of the natural vegetation and leaves the wild butterfly population intact. 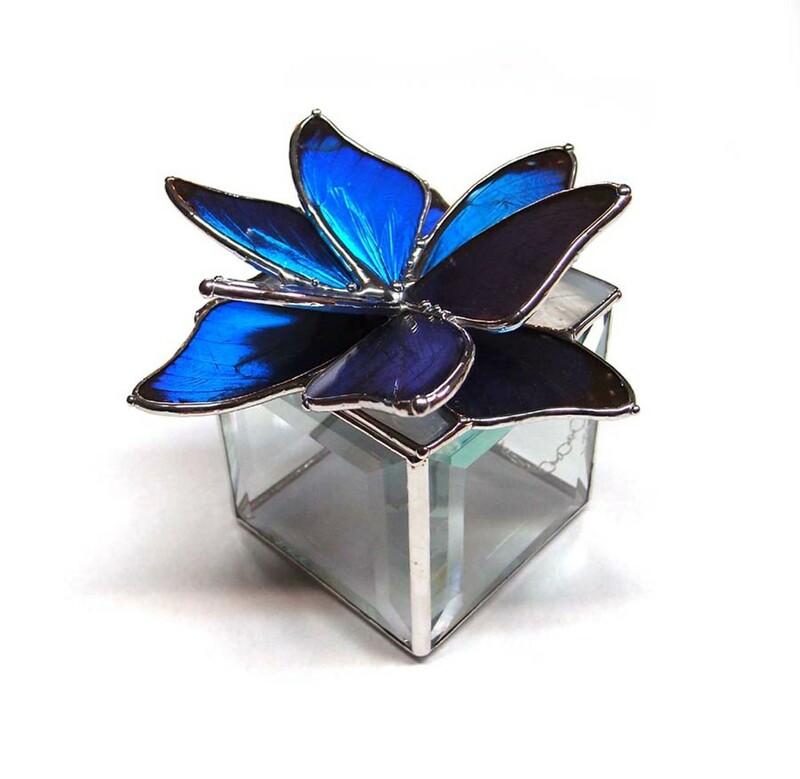 I turn these fragile beauties into heirloom pieces, by pressing them in hand-cut glass and encasing them with a silver alloy. 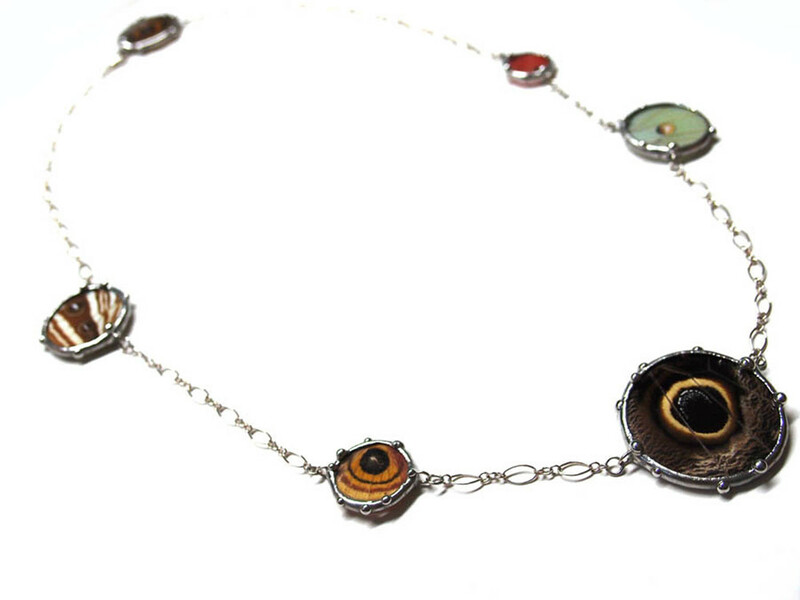 This work began over ten years ago when I found a monarch butterfly dead in my yard. It was just so beautiful and so delicate so I wanted a way to preserve and keep it. 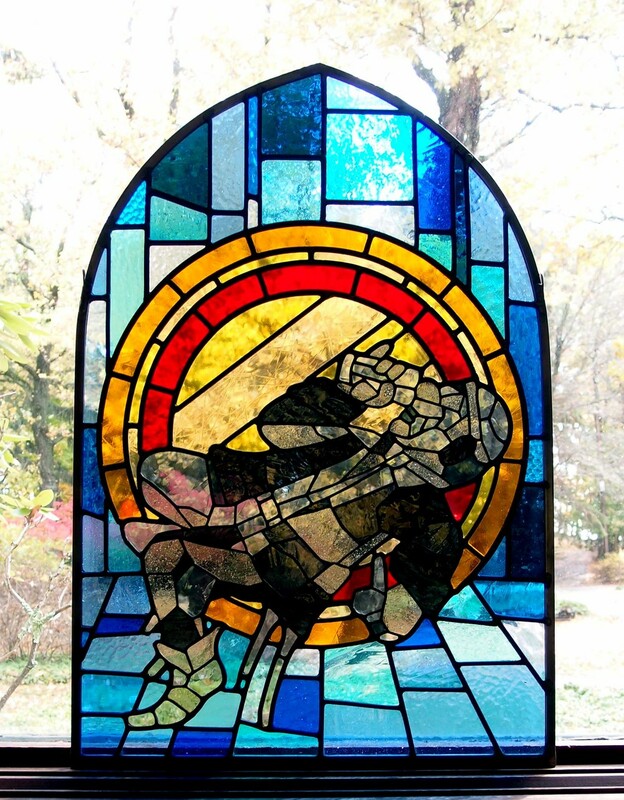 The techniques and skills that I had been using in my stained glass work led me to much experimentation and the collection you see today. My magnum opus. 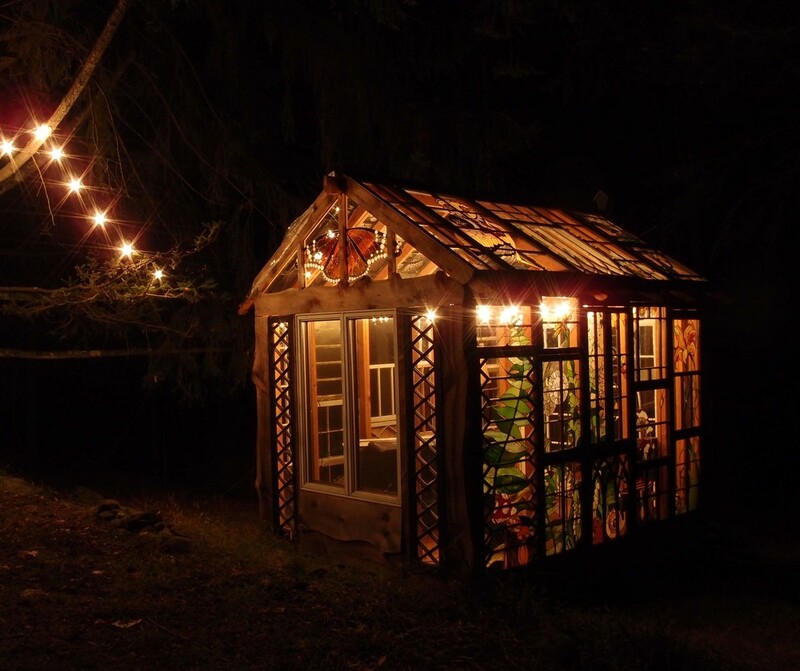 A tiny cabin sheathed entirely in my stained glass creations. 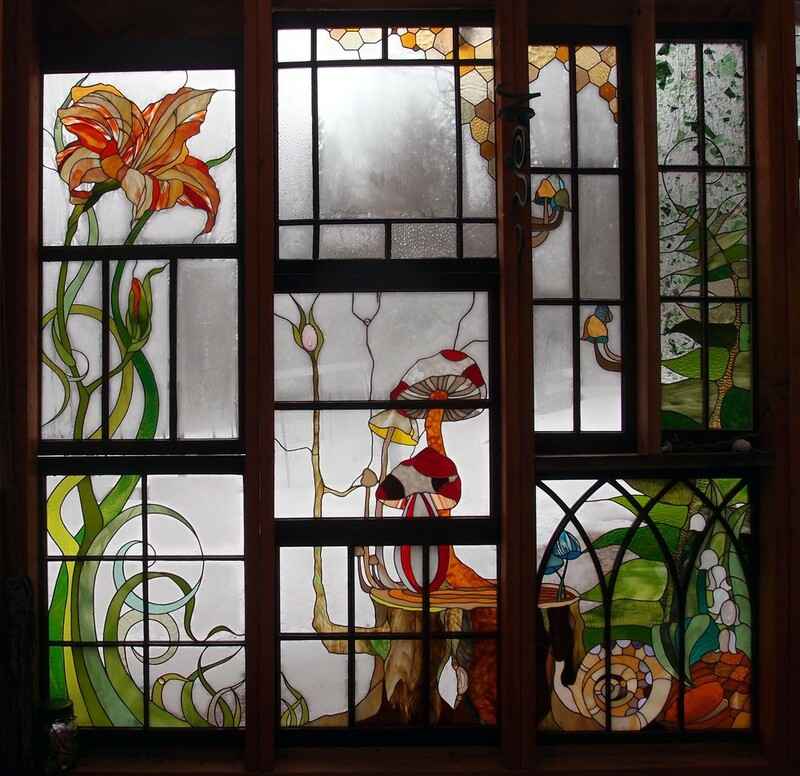 In 2013 I began work on my most ambitious project to date, The Glass Cabin. 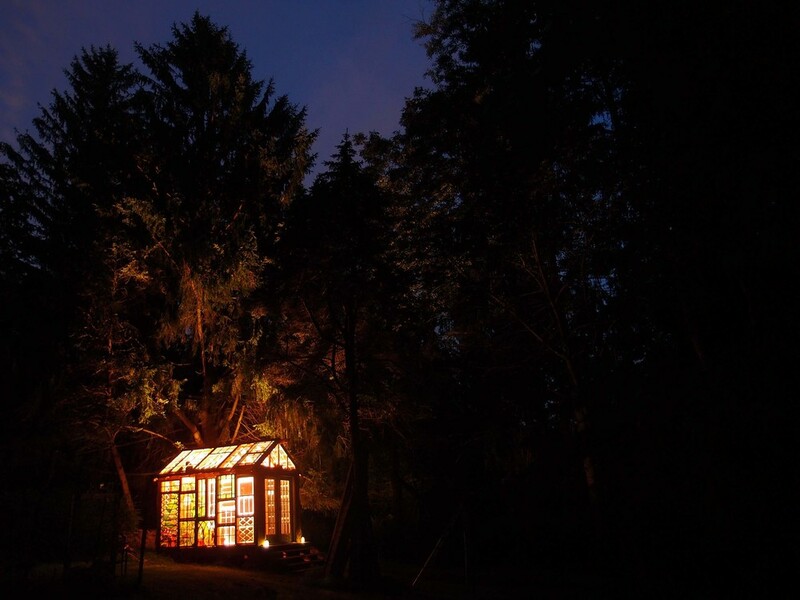 The Glass Cabin is my dream project, my creative sanctuary in my yard in the lovely lake side town of Lake Mohawk, New Jersey. The 8’ x 12’ structure was built by me, with the help of my father-in-law. 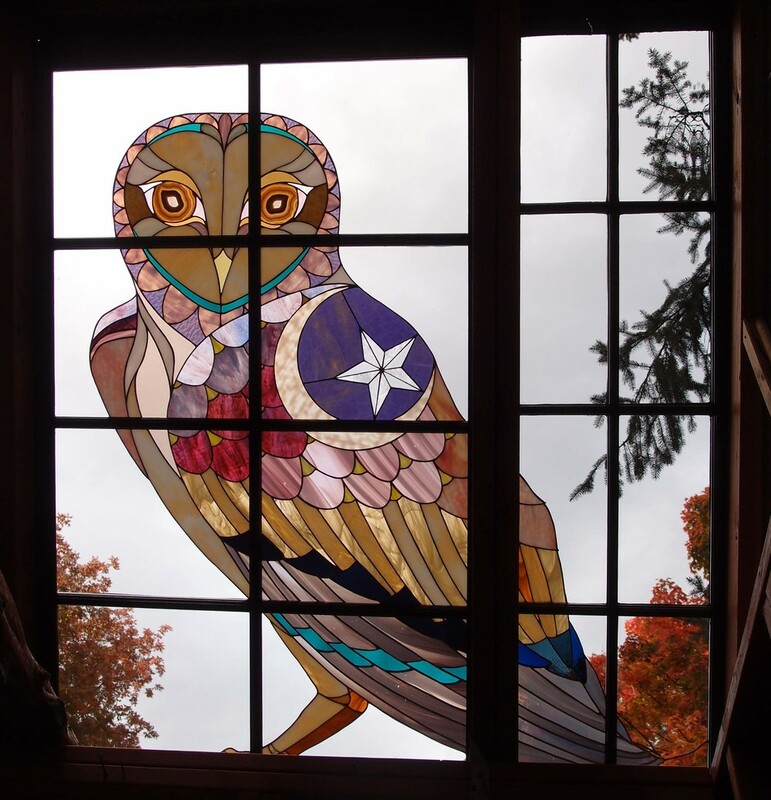 It is made almost entirely of reclaimed materials: rafter beams from some fallen trees, lumber from a neighbor’s storm-damaged porch, and many, many old window frames. 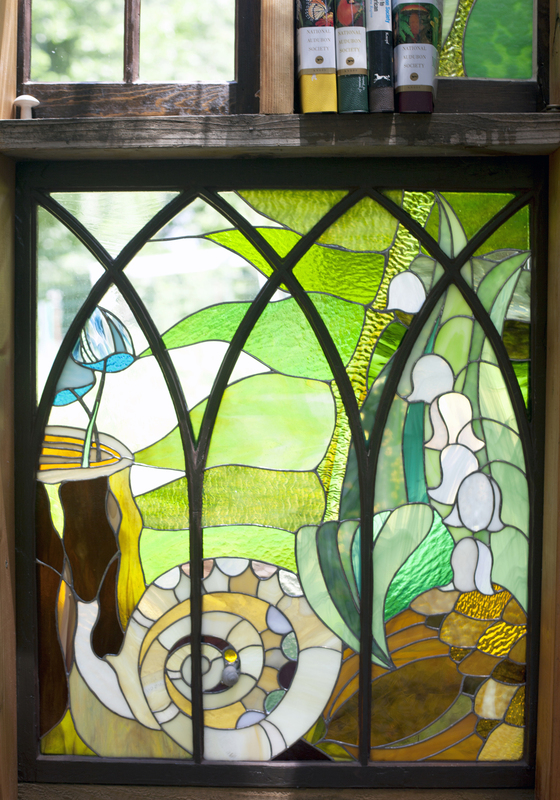 The clear glass panes in the windows are being replaced and transformed into a colorful display of ferns, flowers, bugs, and birds in vivid stained glass. A feeling of the fairy tale fantastical is created by the large scale of the imagery. A Monarch butterfly with a seven foot wingspan sits above a grouping of knee high mushrooms, a hawk soars above filling the entire length of the structure. Work is still in progress. 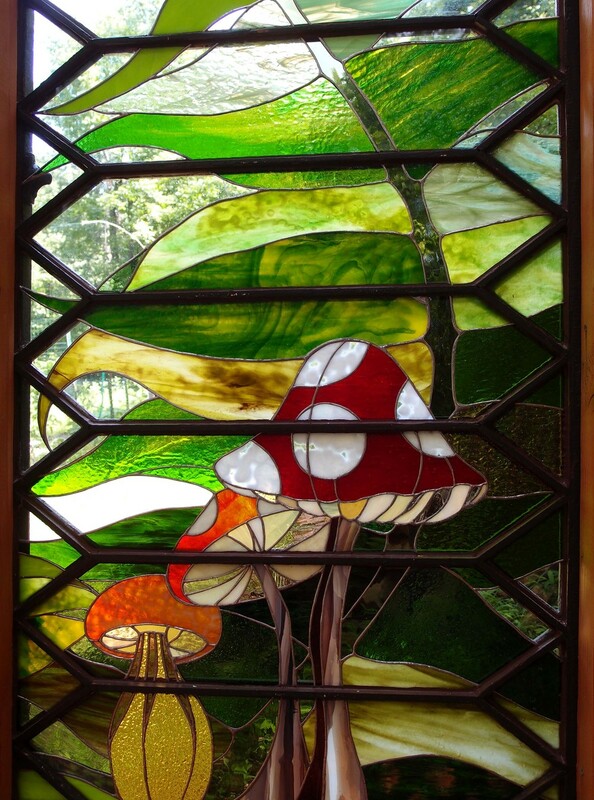 Follow along athttp://theglasscabin.tumblr.com/ and @neilecooper on Instagram.